At TME, we know how important in today’s world is educating young people in electronics – related jobs. Demand for specialists in these areas is high. 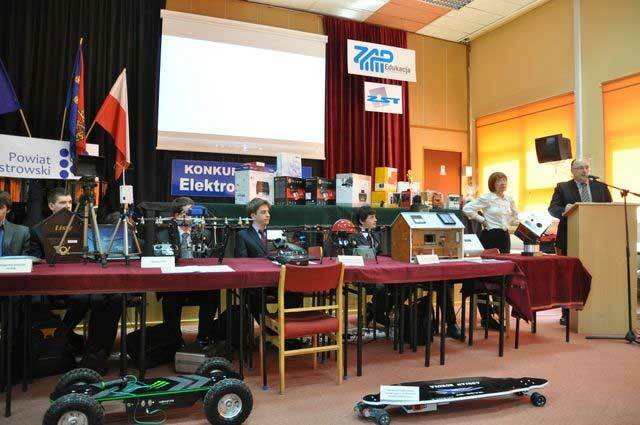 That is why, we have established cooperation with various secondary schools and universities which includes sponsoring of different events and competitions, but also providing electronic components to school labs in which future electronic, automation, IT engineers as well as other specialist acquire necessary skills. One of the schools that we have established cooperation with, is a Complex of Schools No. 3 in Ostrowiec Świętokrzyski (previously Metallurgical-Mechanical Secondary Technical School) This is a renowned school whose students win various competitions and contests, they also have an opportunity to travel and study in Germany, Portugal and Italy as a part of their vocational training program. 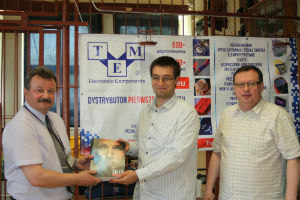 Wojciech Kuczyński, TME’s representative, visited The Complex of Schools No. 3 in Ostrowiec in May, 2013. 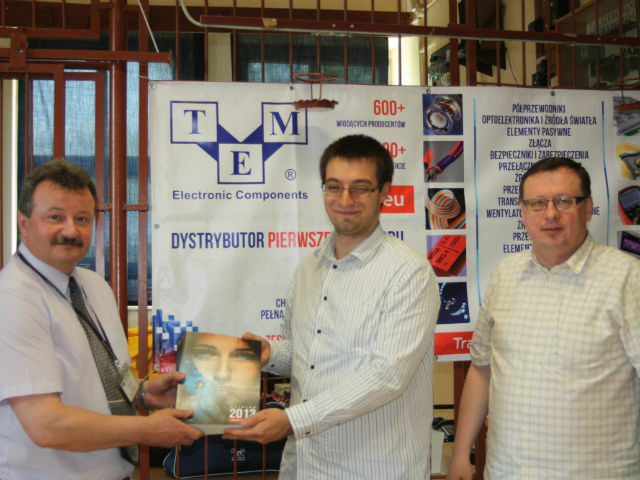 During the visit, TME’s offer components were provided to school for educational purposes. Mr. Kuczyński received a very warm welcome by School’s Head, Mr. Czesław Golis and Cooperation Coordinator, Mr. Radosław Moskal. Mr. Kuczyński visited Ostrowiec Świętokrzyski and Museum of History and Archeology in Krzemionki. A very nice meeting ended with promises of future cooperation.